The story of Hans Christian Andersen’s fairy-tale “The Little Mermaid” is quickly told: The little mermaid rescues a young prince from being drowned and falls in love with him. Driven by her strong desire for the prince and moreover longing for an immortal human soul she decides to leave the underwater world. Helped by the sea witch she becomes human, but on the condition that if she fails to win the prince’s love she has to die. Finding the prince, the mermaid suffers tremendously on shore, not only physically – every step feels like treading on knives’ edges – but even more emotionally, as she witnesses the developing affection between the prince and another woman – a human one. At the end, the mermaid’s love remains unrequited. She transcends to an entity of an upper sphere and is given a soul. Berlin’s New “Nutcracker” – No Cracker Jack! 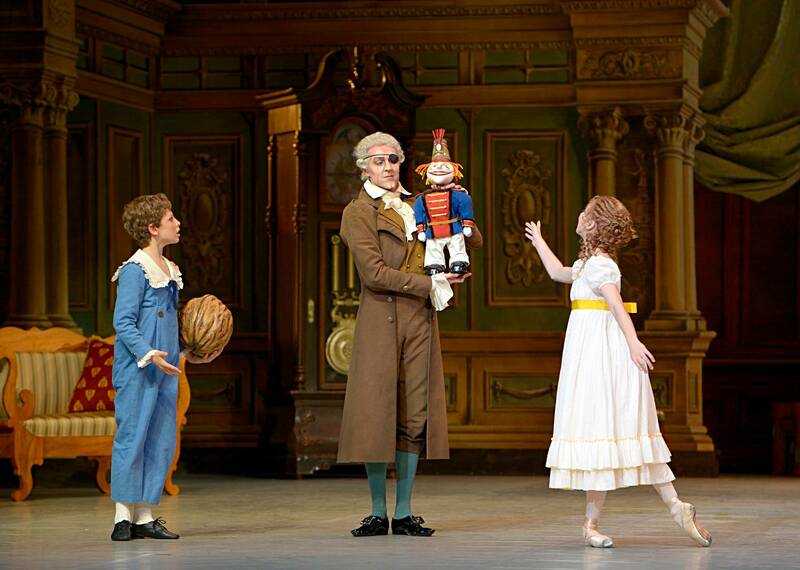 Despite the amazingly mild weather so far, State Ballet Berlin’s premiere of its new “Nutcracker” heralded an early start for this year’s Christmas season. Vladimir Malakhov, in his last year as artistic director of the company, decided to replace Patrice Bart’s production – which had been in repertory from 1999 until two years ago – with one based on St. Petersburg’s 1892 original. Entrusted with the choreography were Russia’s Yuri Burlaka and Vasily Medvedev, both familiar with their homeland’s ballet tradition. Neither of them is unknown in Berlin, having staged an adaption of “La Esmeralda” for the State Ballet in 2011.